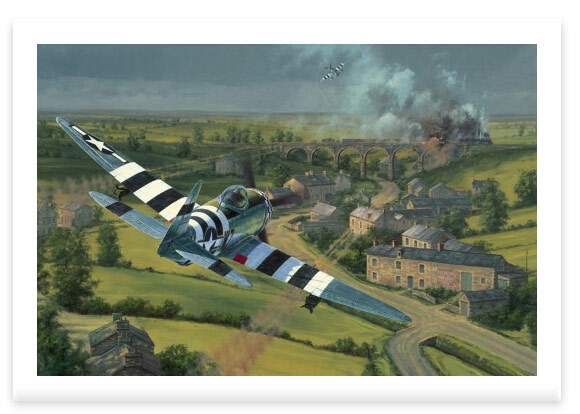 With orders to destroy, delay or disrupt enemy forces en-route to the Normandy battle area, P-47 Thunderbolts from the 78th Fighter Group launch a blistering high-speed, low-level attack, on a German freight train in occupied northern France, June 1944. Desperately attempting to transport vital supplies to the front by daylight, it has fallen prey to the cannons and bombs of the eagle-eyed Thunderbolt pilots. 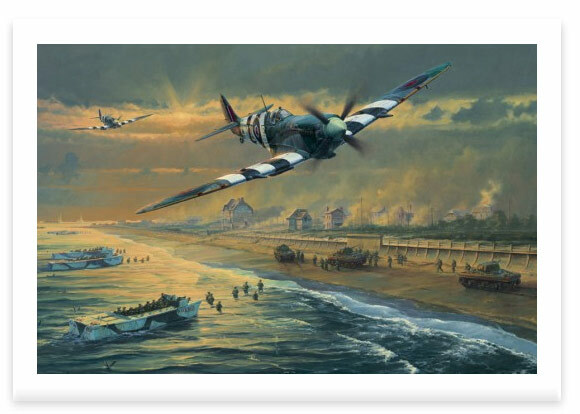 Each print has been signed by two highly-respected USAAF P-47 fighter pilots, who both flew interdiction missions in P-47s after D-Day.